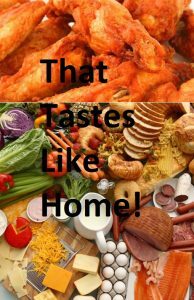 Some recipes we use at camp and some from Moose’s family cookbook, “That Tastes Like Home”. Today’s recipe: Poor Man’s French Pastry. When we were kids we used to call this french man’s poor pastry to bug my mom (Moose).